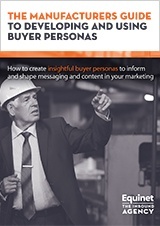 Well-researched buyer personas help define what the focus of your content should be. They highlight pain points, the kind of material your customers might enjoy, and where exactly they will be looking for answers and information. Whether you're starting from scratch or embarking on a relaunch, traditional website design can be a minefield. 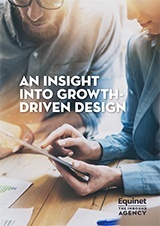 Growth-driven design is a data-driven, agile approach which produces better results, with less risk, in half the time. 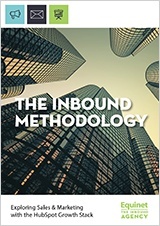 Inbound revolves around building trust and authority in a noisy, sceptical world. Discover how you can attract visitors, convert leads and close sales using blogging, social, marketing automation and more. Doing your own research is an opportunity to set your company apart. 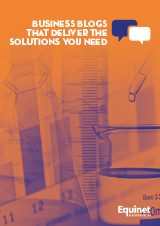 It demonstrates thought leadership and helps to position you as experts in your field. 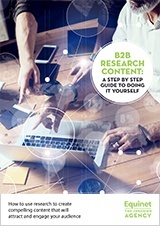 We provide you with a step by step guide to doing your own B2B research. 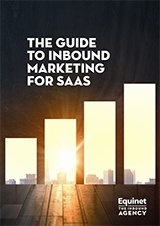 You probably understand the tactics involved in inbound marketing – blogging, social, media, lead nurturing, conversion paths, etc. – but, without an effective strategy for marshalling them, your results are less than assured. 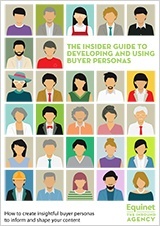 Well-researched buyer personas are an essential part of your marketing strategy. They highlight pain points, the kind of material your customers might enjoy, and where they are likely to look for information and guidance. Change is the order of the day. 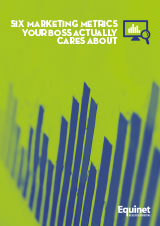 Macro forces are combining to place intense pressure on organisations and entire industries. The manufacturing sector is no exception – most notably, the Fourth Industrial Revolution (and all that it entails) is looming large. 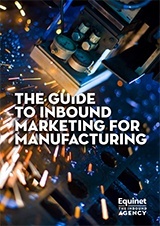 Manufacturers can no longer rely on sales to generate growth, and traditional marketing tactics don’t work like they used to. Power has shifted from the buyer to the seller. In this digital landscape you need a fresh approach. Referrals have traditionally been the go-to method for garnering business for professional services. However, while word-of-mouth is still an effective tool, it is no longer enough on its own. 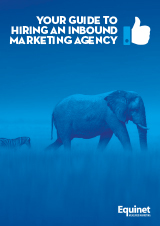 It’s vital to ensure that you can reach the people that matter most to your business. 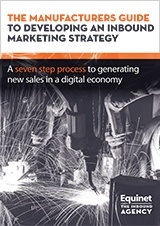 But conventional sales and marketing simply don’t work like they used to – a new approach is required. So, what to do? 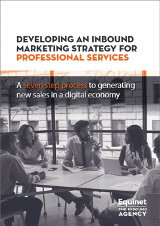 Professional service organisations can no longer rely on referrals and word of mouth to generate growth. 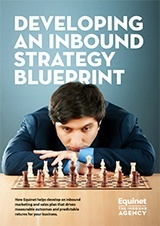 How do you plan and implement an inbound strategy? This seven step process will provide a roadmap to guide you. 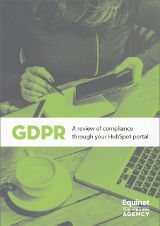 As a marketing professional and HubSpot user, GDPR will already be well on your radar. This guide takes you through some of the key areas you need to consider to be GDPR compliant before 25th May 2018. 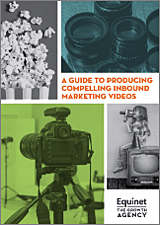 Strategically creating video for different stages of the inbound methodology will help strike a chord with tentative prospects. 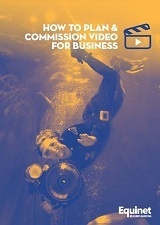 Tailoring your video production to your audience can also increase viewership and improve your ROI. 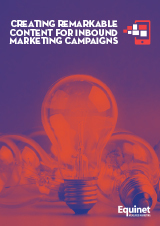 The value and return on investment (ROI) from inbound marketing are increasingly recognised. But not all agencies claiming to be "inbound" are the same. Learn how to discern the best from the rest. 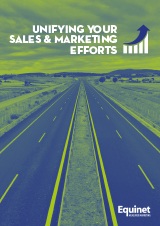 According to research from HubSpot, businesses with good sales and marketing alignment achieve 20% annual revenue growth, whilst the poorly aligned see a 4% decline. How might a united effort work for you. You map and measure your marketing across a host of metrics, but when the Board question whether all that effort drives demand and revenue, how do you prove the case? Here are six metrics that do just that. Successfully converting traffic-to-leads and leads-to-sales requires careful consideration. 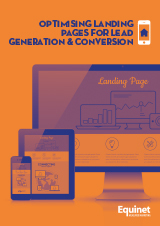 Discover the secrets behind perfect landing page design and conversion campaigns that see real results. 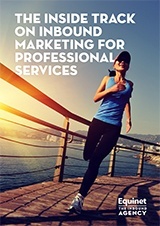 Inbound is all about delivering useful content at the precise moment that a buyer needs it. 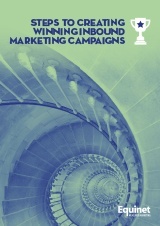 But what are the essential campaign steps required to make your inbound marketing really work? In an age where reputations are made and lost according to prowess in the social world, the time has come to get to grips with how your business can best use social to reach and engage with your customers. Investing time and creativity into your posts, and fostering active engagement from your audience, will give you a blog that truly delivers. 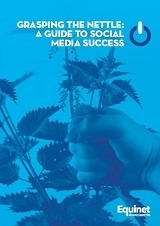 Learn how to get past the basics, and grow and scale your blog reach. Successful email marketing depends on great campaign design, and maximising conversions and click-through rates. 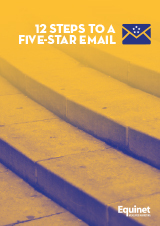 We've identified the 12 key components to incorporate in a five-star email. A radical redesign can transform your site into a hub of customer interaction and thing of beauty... or it could fail spectacularly! 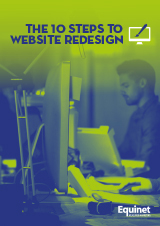 Our 10-Step Redesign Checklist shows you how to avoid the pitfalls. Effective content marketing far outperforms advertising today, offering you a clear route to market which addresses the concerns and interests of your buyers. Discover what it takes to do it right. Done well, great content will truly set your company apart. 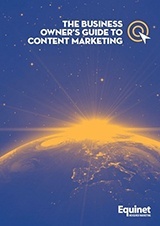 This eBook offers guidance on how to create remarkable content that captures attention, attracts leads and convert them to customers. Discover how video can help you reach and influence more of your customers, bringing your message to life with stories that take a short time to watch and leave a lasting impact. 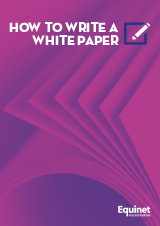 White papers can be a powerful inbound marketing asset, particularly if technical detail, statistical data and innovative thinking are requisites in your sector. Learn how to successfully write this type of content. 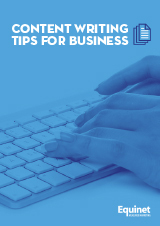 Great writing has become increasingly important as the timbre of modern B2B marketing moves from the pushy sales voice to a helpful, informative one. So, what are the rules for writing good copy today?